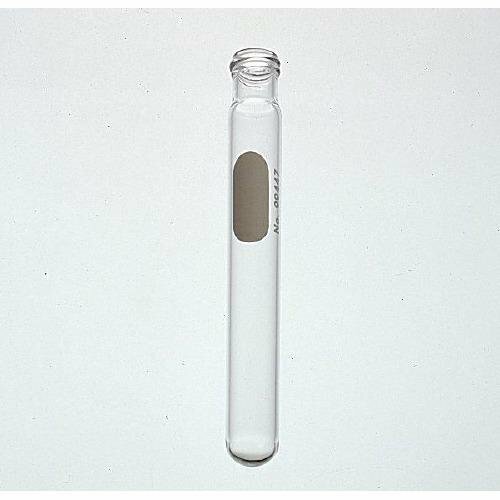 These disposable 16x125mm PYREX® culture tubes have a round bottom, GPI 15-415 threads and come with a white marking spot. They are designed for both tissue culture and general bacteriological work. These tubes hold approximately 15.5mL, are made from borosilicate glass, bulk-packed and are sold without caps. For disposable phenolic caps, see No. 99999. View More In Lab Tubes. If you have any questions about this product by Corning, contact us by completing and submitting the form below. If you are looking for a specif part number, please include it with your message.